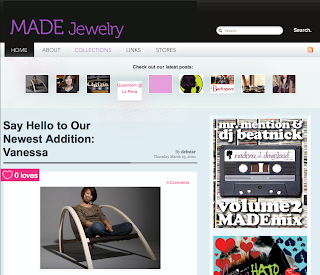 I'm making an appearance on the MADE Jewelry Blog! Please check out these lovely ladies and their awesome jewelry! I'm honored to be a part of their blogging team and looking forward to contributing my thoughts on design. Hope folks find it interesting! Oh my GoD! you're famous!!! !